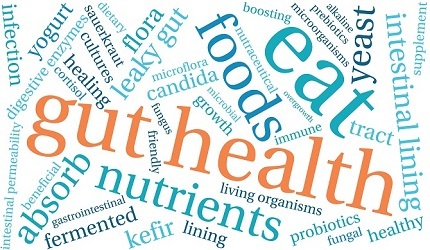 Probiotics ranked as the third most commonly used supplement in a study by the National Health Statistics Report. It’s not surprising, probiotic research has been at the forefront of preventative medicine and study for the past 5 years. We’ve learned the importance of gut health and how it influences every system in our body from our gastrointestinal tract to our neurotransmitters. 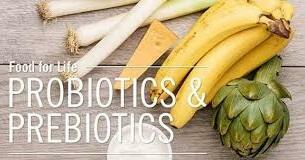 We know we need to keep on top of our health by supplementing with probiotics from time to time, especially after going on antibiotics. 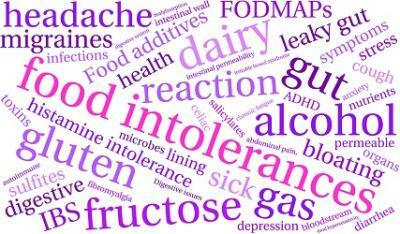 For some people probiotics are necessary on a daily basis to manage a GI condition. Just about everyone knows the importance of having good gut bacteria these days. What few people know about though, is the importance of prebiotics. 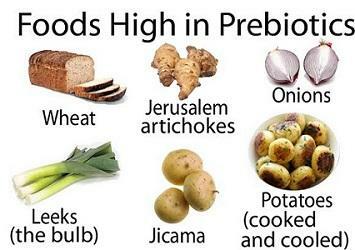 Prebiotics are the food for our good gut bacteria. It’s actually easier to grow the bacteria already in our gut, keep it strong, and increase our good gut bacteria by feeding it with prebiotics, also known as fiber. Prebiotics act as a “gut fertilizer” to feed the good gut bacteria in our GI Tract. They are a type of indigestible fiber called oligosaccharides which are found in certain plant foods. Some of the plants that contain oligosaccharides are jerusalem artichokes, dandelion greens, onions, jicama and asparagus. The recommended amount of this fiber is at least 25 grams every day. If it seems difficult to get prebiotic fiber in your normal daily diet then you may want to consider taking a prebiotic supplement. 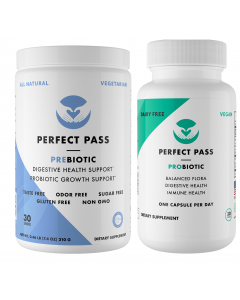 We recommend Perfect Pass Prebiotics to all of our clients taking probiotics. 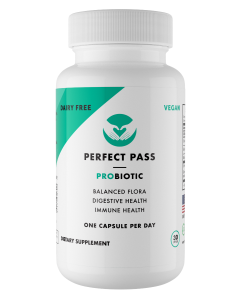 Over the past few years many of our clients were able to lower their dose of probiotics once they were taking Perfect Pass Prebiotics. This brand stands out from the others because it’s made from partially hydrolyzed guar gum, known as PHGG. Read More about the benefits of PHGG by clicking here. This type of prebiotic doesn’t cause any side effects and can be safely used by people who have SIBO (Small Intestine Bacterial Overgrowth). It also reduces the symptoms in patients with Irritable Bowel Syndrome. Click Here to learn more. It’s the perfect fertilizer for your good bacteria to grow. 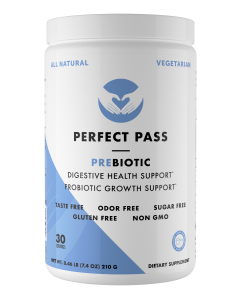 If you haven’t used Perfect Pass Prebiotics yet, now is the time to try it. Pair it wth any probiotics you are taking to grow the numbers of good bacteria in your gut and increase their efficacy. We recommend the Combo Pack.